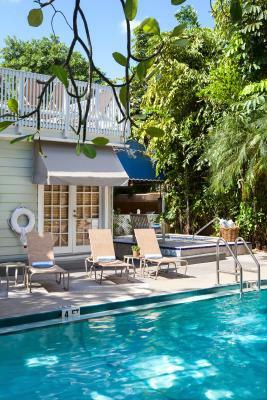 Lock in a great price for Southernmost Inn Adult Exclusive – rated 8.2 by recent guests! The room was clean and tidy. The rest was very nice and breakfast very good! everything was just awesome! location was great. Close to everything yet hidden away without all the hustle and bustle. My daughter and I loved it!! Highly recommend this hotel!! Breakfast was fine. 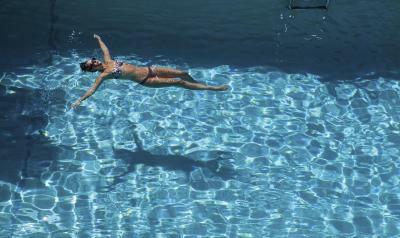 The pool was fine. The bath tub was dangerous and slippery. The lack of parking was a shock! We were told to try again on our second day and for 26$ a day we could get a spot. When i returned I was told It was to late, I should have come by earlier! Room, pools, bar area everything was better then I expected, location was great and staff very helpful. Very nice clean room and the pool setting gave me a feel of old Key West. Your bartenders Annie and Anthony were exceptional. They made great recommendations for restaurants and were super friendly. Comfortable beds, nice continental breakfast, lovey heated pool, and jacuzzi too. Nice having bicycles available to rent on premises. Great location. The room was very clean. A problem with the tv and toilet were handled immediately and courteously. The room was a separate building of its own but was rather small. However, overall a great stay. Location good. Room was large and clean. Would stay again. 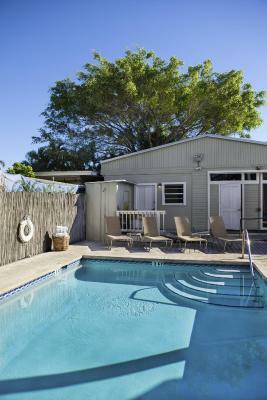 Southernmost Inn Adult Exclusive This rating is a reflection of how the property compares to the industry standard when it comes to price, facilities and services available. It's based on a self-evaluation by the property. Use this rating to help choose your stay! One of our top picks in Key West.This adults only Key West resort is 1 minutes' walk from Duval Street and 5 minutes' walk from the Atlantic Ocean. 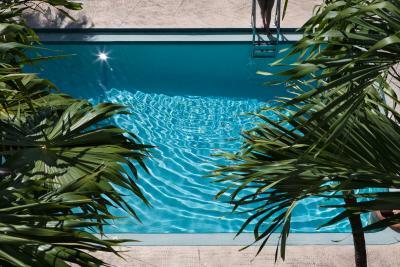 It features 2 heated outdoor pools, a hot tub, poolside bar, and complimentary continental breakfast. In addition to free WiFi, all rooms include air conditioning and a flat-screen cable TV. Each room at Southernmost Inn has a unique tropical theme. 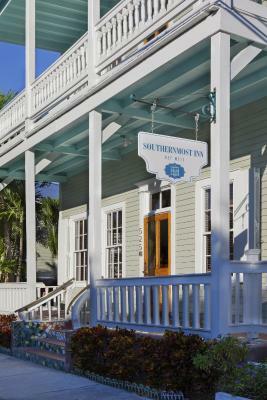 Southernmost Inn provides a fitness center. Guests can also lounge on the large outdoor patio and a sun deck. 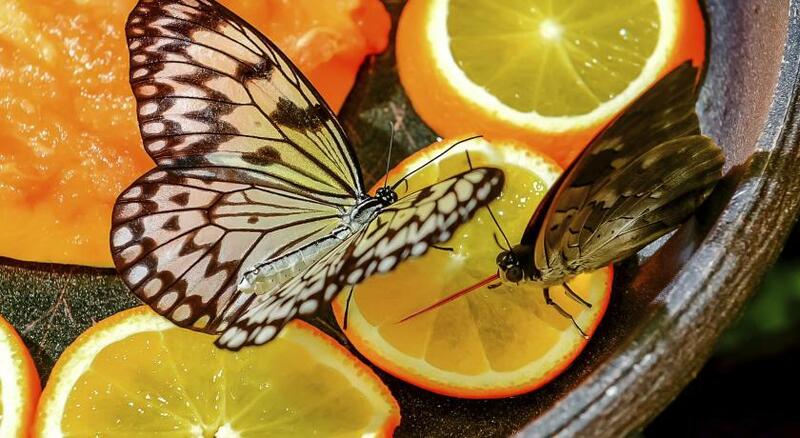 The Key West Butterfly and Nature Conservatory is 5 minutes' walk away. 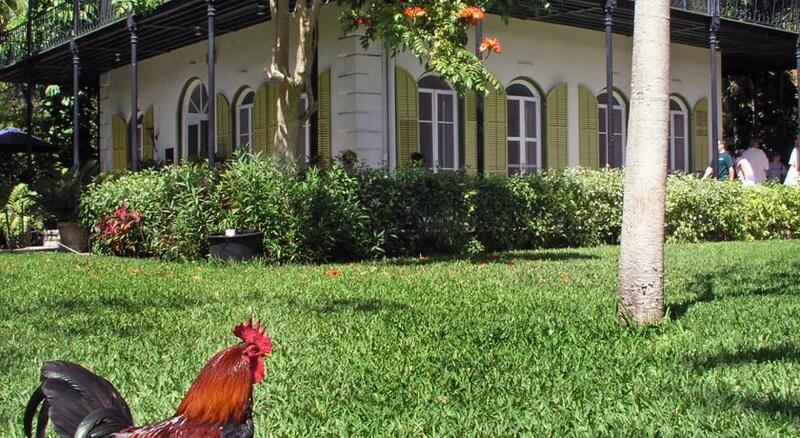 The Ernest Hemingway Museum is a 10 minutes' walk away. Southernmost Point is only 1,150 feet away. 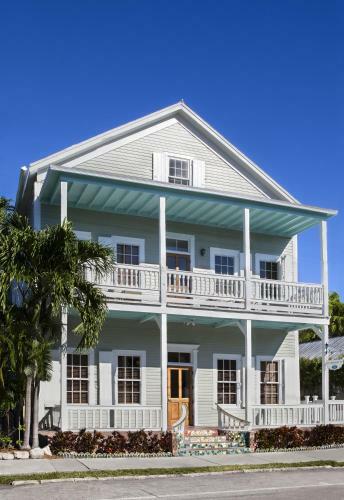 뀐 Located in the real heart of Key West, this property has an excellent location score of 9.0! 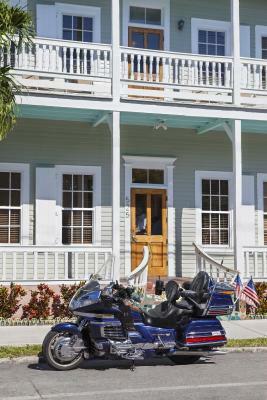 When would you like to stay at Southernmost Inn Adult Exclusive? This room features a flat-screen TV, refrigerator, and free WiFi. This suite features a separate living area, 2 TVs, and a large bathroom. 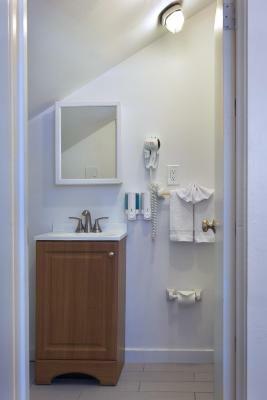 This small loft is located on the 3rd level of the historic building and is only accessible by stairs. Features include a low, slanted ceiling with windows or skylights, a flat-screen TV, and refrigerator. This disability accessible suite includes a separate living room area with a sofa bed. A small refrigerator and a flat-screen TV are also provided. 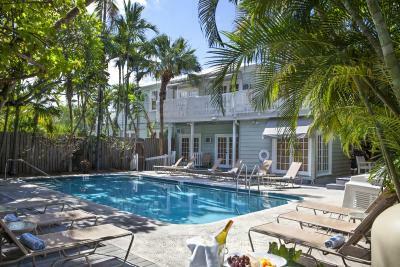 House Rules Southernmost Inn Adult Exclusive takes special requests – add in the next step! Any additional adults are charged USD 20 per night when using existing beds. Southernmost Inn Adult Exclusive accepts these cards and reserves the right to temporarily hold an amount prior to arrival. All guests must be 21 years old or older to check-in. Children cannot be accommodated. Please note that paid parking is offered based on availability and cannot be guaranteed. 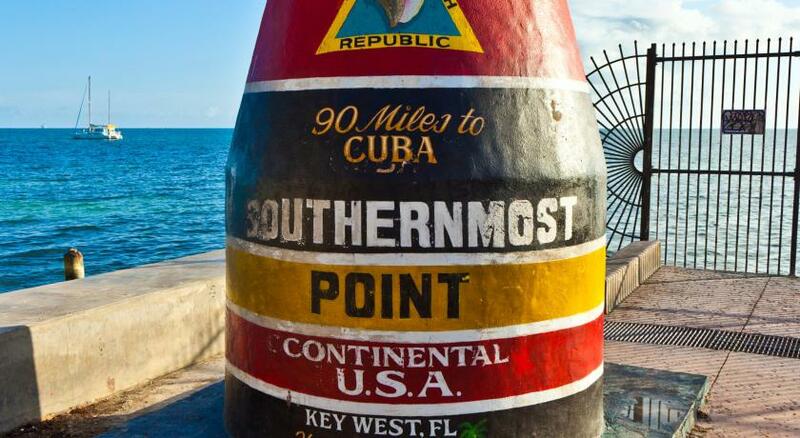 Please inform Southernmost Inn Adult Exclusive of your expected arrival time in advance. You can use the Special Requests box when booking, or contact the property directly using the contact details in your confirmation. Room was very small especially the bathroom around the sink. No room to put out toiletries. I booked a room with a 1 bedroom with king bed, extra living space and balcony (outdoor space). The first room I was given did not have a balcony. When I asked to be switched to a room with a outdoor space, which is what I paid for. I was given a much smaller room (a studio), that had and outdoor space but no extra living space. They claimed the price difference was only $60. I disagreed but didn't know what the cost of booking a studio would have been at the time of booking. I think they could have done better with the price because I booked and paid for a specific type of room. Which they didn't have available. The problem was the a/c made an incredible noise! And the curtains let too much light pass through. liked everything I honestly wouldn't change anything. Parking and the bath tub floor. When we had asked for room service they never changed the bed sheets. Not worth the price. Property in need of repair in many ways. Need a better way to get luggage to and from rooms. Luckily I was only on the second floor. I couldn't imagine carrying to the third. Bar drinks were pricy and limited. Friendly atmosphere and clean facilities. The constant having to sign into the WiFi was annoying. No elevator - 37 steps to the 3rd level. Next time I will book a room on the ground level. 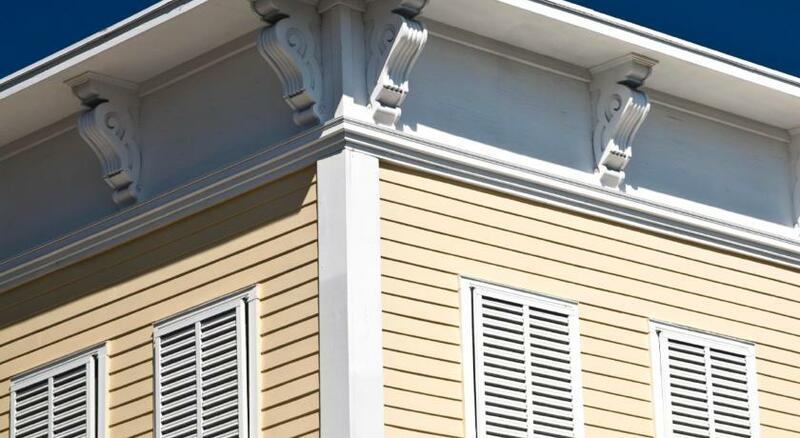 LOCATION - very close to the heart of Key West. Great restaurants close by. A/C loud and constantly turning in and off. Sparse bedroom but good size. Breakfast options were “ok” but no scrambled eggs and sausage or potatoes as most continental breakfasts are. Room has slight musty odor.